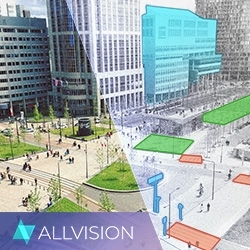 Pittsburgh, PA, January 23, 2019 --(PR.com)-- Allvision, a geospatial analytics company providing insights and business intelligence to verticals such as infrastructure management, insurance, advertising and security, announced today $3.2 million in Series Seed funding raised. Lavrock Ventures was joined by The Robotics Hub, IDEA Fund Partners, and Sands Capital Ventures in funding the company, which is spearheaded by reality capture veterans. Funding will be used to accelerate product development, further hires and pursue additional go-to-market opportunities. Representatives from Allvision will be speaking and exhibiting (booth #205) at the International LiDAR Mapping Forum (ILMF) in Denver, Colorado from January 28th to January 30th, 2019. Allvision is hiring, come join the team - www.allvision.io/careers.